This championship par-72 golf course has plenty of length to go with the various challenges of multi-tiered greens, strategically placed deep bunkers and tree-lined fairways. The natural terrain offers outstanding views and memorable Myrtle Beach golf photo opportunities. Strategy is a must on this course so don’t let the beauty distract you. 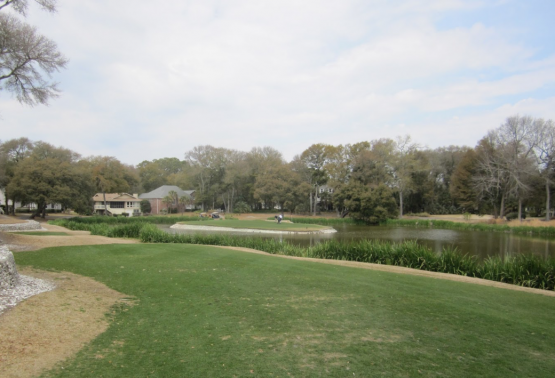 The Parkland is considered a premier Myrtle Beach championship golf course and would be an outstanding addition to your Myrtle Beach golf package. Myrtle Beach golf packages offer the very best in Myrtle Beach and North Myrtle Beach deals. Any of the beautiful Myrtle Beach golf courses can be combined with a wide variety of Myrtle Beach accommodations such as Myrtle Beach hotels, Myrtle Beach condos and North Myrtle Beach oceanfront beach houses. Myrtle Beach is one of the top tourist destinations in the world for good reason. The mild Myrtle Beach weather, world class Myrtle Beach entertainment and wide, sandy beaches of North Myrtle Beach. Plan your Myrtle Beach golf package today! Excellent, good layout, good greens, dangerous, deep sand. Legends always a good stop.